In my next post I’m going to show a technique I’ve come up with to configure the Cyclone II FPGA using a FT232RL USB to UART Bridge. The breakout board costs $15, while the part itself costs $4 which is a much more agreeable solution for my wallet. Before I can get into the specifics of the FPGA configuration, I need to show you how to install the proper drivers to play with the FT232RL. 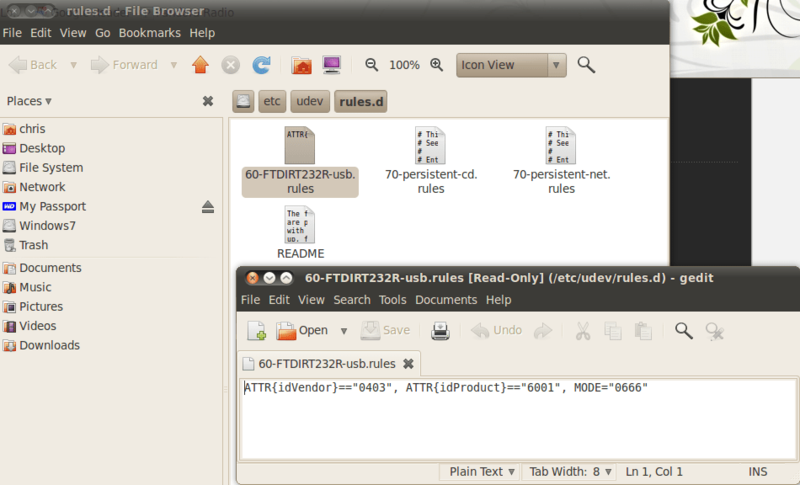 Presently FTDI recommends using the libFTDI driver which appears to be maintained by the Intra2Net company. The library is released under the GNU Lesser General Public License so you can use it in free and proprietary programs. 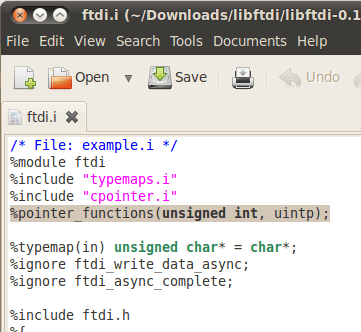 Currently only version 0.17-1 of libFTDI is available from the Ubuntu Software center, which has a few too many bugs for my liking. This lead me to another learning experience in my linux adventures: I had to learn how to compile the driver from its source code. I should mention quickly that I’m going to be writing code using Python. I’m using the eclipse editor with the Pydev IDE. In order to use the libFTDI driver in Python you will need to run the SWIG tool to generate the ‘glue code’ to call the libFTDI’s C/C++ functions. I’ll cover this aspect of the install in this tutorial as well. 2. Extract the files into another directory named libftdi. 5. Now we go through the install process. Now you should be good to go. Try running python in interactive mode and type import ftdi to make sure the install and pathing is correct. In the next post I’ll show you how to actually use this library to do work. Did you ever follow up on this article. There doesn’t seem to be a part 2 anywhere. I had to run ‘sudo ldconfig’ before the import worked. It’s been awhile since I’ve worked with the libFTDI library, but according to their “News”, this patch was applied to the 0.19 build. I also vaguely remember an email (on the mailing list) indicating someone, with more intimate knowledge of SWIG, reworking the bindings so maybe it’s all fixed in rev 0.20.